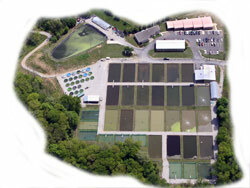 The Kentucky State University Aquaculture Research Center is located at 103 Athletic Road, Frankfort, Kentucky 40601. Phone 502.597.8103 for general information. For comments about the Web site contact tod.porter@kysu.edu. To reach the Land Grant Director, Dean, Chairman, staff or students click on the designated links at the top of any page.